It almost seems like just a few weeks ago that we got the Intel Core i7-5775C Broadwell processor to review. Wait, it was just a few weeks ago! 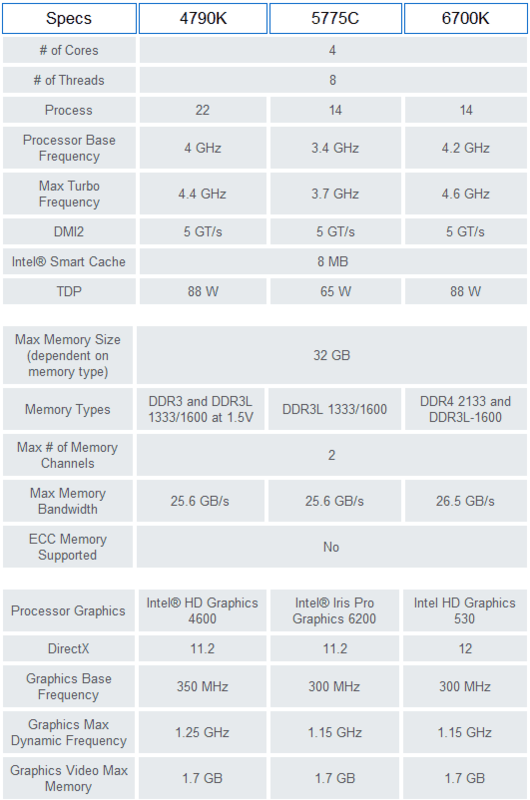 Now we have another new processor that looks a bit more exciting than Broadwell at least on paper. The Intel Core i7-6700K Skylake processor boasts the fastest quad core frequencies and architectural design to date especially in terms of frequencies, power consumption, and finally introduces DDR4 memory support to the mass market. It also requires a Z170 motherboard using a new LGA 1151 socket and DDR4 memory to operate (with SOME exceptions). The real questions are whether or not Skylake's specs provide an impressive leap over Devil's Canyon and is the new LGA 1151 socket really worth upgrading to over the last generation. Let's start answering! To understand the Intel Core i7-6770K Skylake processor, you just have to remember the key features. 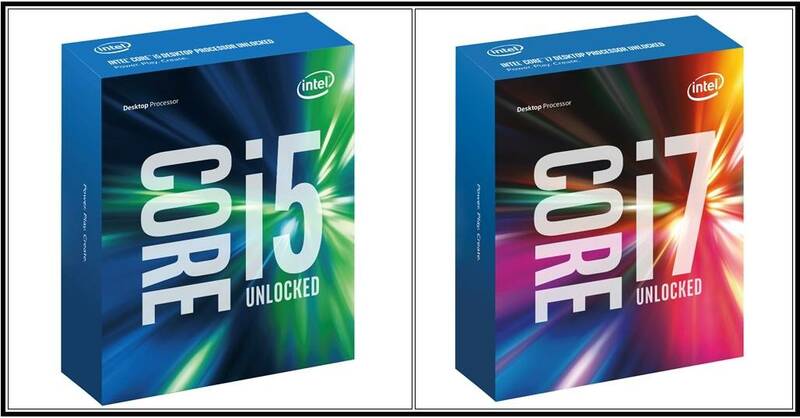 These are the same found in the Intel Core 4th and 5th generation processors. However, as mentioned, Skylake requires a new Z170 motherboard with an LGA 1151 socket. Besides the slight frequency increase and smaller fabrication process, Skylake only has an Intel HD Graphics 530 integrated graphics processor. It supports everything up to DirectX 11.2 but not DirectX 12. Since there's practically no DX12 content available and the fact that few consumers buy Core i7 for its integrated graphics, this is probably a moot point. Most any enthusiast is going to appreciate the slightly faster core and turbo frequencies. Even the supported DDR4 2133 memory should improve performance overall for applications that need the additional bandwidth. Typically, that's a gain of about 5 to 7 GB/s memory bandwidth depending on timings, but of course, framerates in games will likely not benefit. However, memory hungry applications will enjoy the room to breath. Additionally, the 14nm process should also hopefully result in less heat production like we saw in the Core i7-5775C Broadwell. In terms of cost, the Core i7-6700K 4 core/8 thread processor will retail for about $340 USD and Core i5-6600K 4 core/4 thread processor should hit the streets at or around $250 USD. That's only a few bucks more than the Core i7-4790/4690K respectively, yet the same price as the Core i7-5775C Broadwell chip.